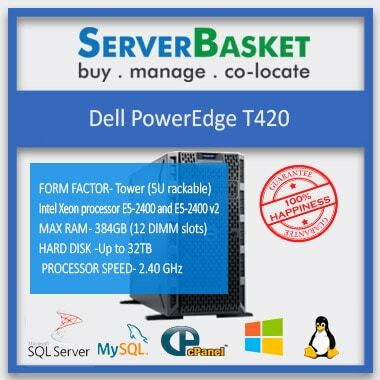 Buy Dell Poweredge T630 Tower Server online at Lowest Price, 3 yrs seller Warranty, Discount Price. 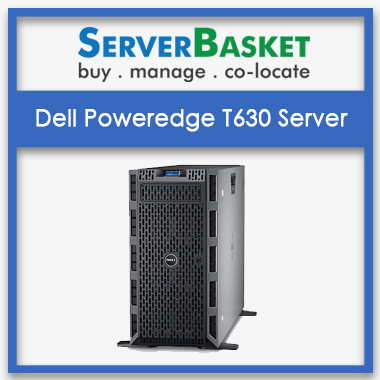 Dell PowerEdge T630 tower server order from here online at low price across India in contrast to any other dell server dealers or distributors and acquire instant delivery and 3 years seller warranty. 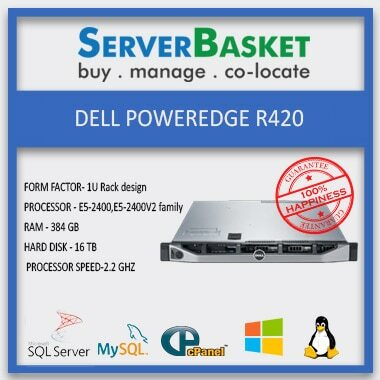 Dell T630 server is always ready and is built to drive wide range of workloads for achieving high level output performance, efficiency and huge storage capability options now as well as in upcoming future. The DELL PowerEdge T630 is made to rule the market thanks to the dual Xeon E5-2600 v3 processor backed by 768 GB DDR-4 memory that gives optimal performance. A storage that can securely keep all your data ensuring you will never be back from anyone and see your business grow day by day. The scalability is what bags the performance for any work and now a days’ work is mobile hence a network or business that can be monitored from either work, home or outdoor is the demand of the day. Monitoring from your Smartphone (Open Manage Mobile App.) or uploading configuration files like BIOS, LAN, PERC or iDRAC on to the motherboard was never so easy. As important as the memory another feature that is as important is the storage, as it is going to be the place your valuable data is going to be stored in. Hence, for storage you get Interface type serial attached SCSI 2 STORAGE CONTROLLER with maximum 32 internal driver bays with a vast option of RAID options ranging from RAID 0, RAID 1, RAID 10, RAID 5 and RAID 50. This server consists of DDR3 ECC system memory with 2GB or 4GB of 1333 MHz capacity. It can hold upto 4 GB to 384 GB maximum when there 32 DIMMs installed. The express model can feature a capacity of over 8GB. Many single bit memory errors and disruption of service to LAN are corrected with the help of DDR3 DIMM ECC memory combined with integrated memory controller in core logic. 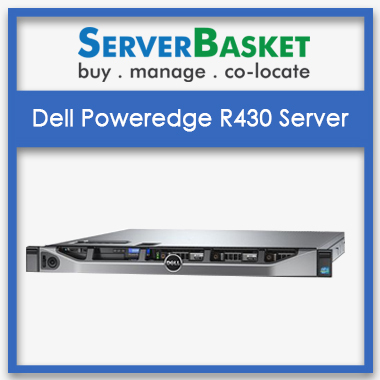 The DELL PowerEdge T630 is backed by three years seller warranty that comes with service upgrades with the response time of next business day. Warranty is only valid if not tempered. Our pricing is updated constantly to ensure that you get the best low price available online or at your destination. 100% guaranteed! What's more, we are committed to show you the 'cheap honest price' on our website never leading than our competitors. 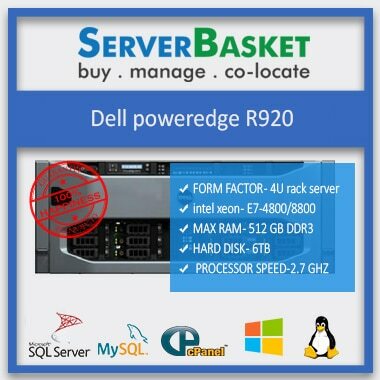 Buy the server online from us and get assurance that you will get immediate delivery at your provided address on the scheduled delivery date without any restrictions. We deliver products within 3 working days to all the rural as well as urban i.e., Hyderabad, Bangalore, Pune, Delhi, etc., cities all over India without fail. Processor scalable - 2 x Intel® Xeon® processor E5-2600 v3 & v4 product family, Memory 24 DIMMS DDR4 RAM SUPPORTED UPTO 1.5TB Storage 8 x 3.5" SATA/SAS SSD, SAS HDD (15K, 10K), near line SAS HDD (7.2K), Hot Plug Drive Open Bay, 12Gbps Raid Controller PERC H730 supports (RAID 0,1,10,5,50,6 ), 8 PCIe slots, 2 x Intel dual-port 1GbE LOM, Hot Swap Dual Dell 750W AC 240VDC Power Module, 24x7 Support. Processor scalable - 2 x Intel® Xeon® processor E5-2600 v3 & v4 product family, Memory 24 DIMMS DDR4 RAM SUPPORTED UPTO 1.5TB, Storage 8 x 3.5" SATA/SAS SSD, SAS HDD (15K, 10K), near line SAS HDD (7.2K), Hot Plug Drive Open Bay, 12Gbps Raid Controller PERC H730 supports (RAID 0,1,10,5,50,6 ), 8 PCIe slots, 2 x Intel dual-port 1GbE LOM, Hot Swap Dual Dell 750W AC 240VDC Power Module, 24x7 Support. I bought this server the other day it seems good to be true Supports the Operating System needed to me. Thank you for suggesting this server. 24 x 7 support is promised by many but who actually solves issues and gets a headache off? Server Basket is famous for great support. Trust me. When I purchased Dell T630 I was expecting for an in-home support to set my server and assumed the warranty would cover that.But when I called up they said the warranty is only for damaged parts.However, they helped me on call to set it up. 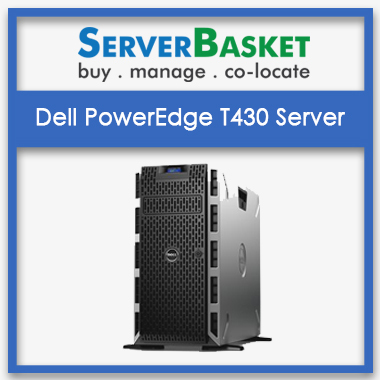 Which type of proccesors are used in Dell poweredge T630 server? Processor used in T630 server is Intel® Xeon® processor E5-2600 v3 product family. What type of server model is this? Dell t630 is a 5u rack server. What are the default storage for T630 poweredge server? Up to 768gb storage is available in T630 server. How many Raid controllers does Dell poweredge T630 server have? How many driver bays are present in dell T630 server? How many raid controllers does T630 server required? Upto how many slots does Poweredge T630 server supports? 8 PCI slots are avilable in T630 server. What is the warranty provided for T630 Poweredge server? 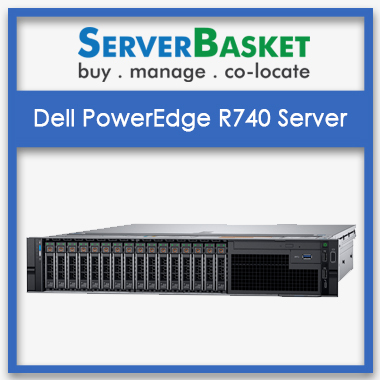 How much power does Dell Poweredge T630 server required? Power required by the T630 server are Titanium efficiency 750W AC power supply; Gold efficiency 1100W DC power supply; Platinum efficiency 495W, 750W, 1100W or 1600W AC power supply.